What’s the Right Approach to Gaining Followers on Your Streaming Channel? Without followers, streaming can get lonely and discouraging. Gaining followers on Twitch and other platforms opens up opportunities to become a part of a community, make friends, and develop your skills. It also potentially leads to sponsorships and paid subscriptions. How can you stand out enough to attract a larger following? Twitch has reported that millions of unique users share live streams each month. YouTube Gaming, Periscope, Mixer, and Facebook Live also keep attracting numerous streamers. To stand out, you need to sharpen your focus, strengthen your online presence, and create a channel that’s welcoming to your community. To give people a reason to watch, you need to understand your reasons for streaming. If your only goal is to make money or hit a specific follower count, you’re more likely to lose focus, waver in your commitment, or burn out. Popular streamers love what they do. Whether it’s gaming, fitness, outdoor exploration, or interior decorating, they have a desire to share their enthusiasm. 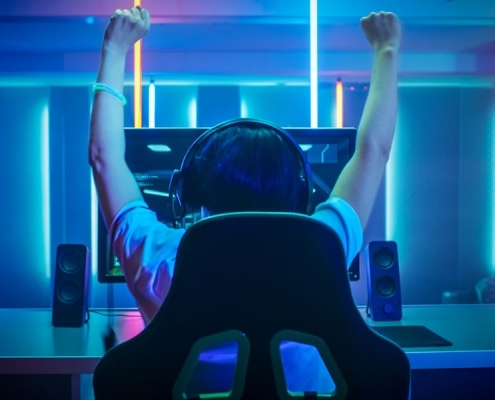 As a streamer, your goals may be to form friendships and professional connections, establish yourself as an authority, or improve people’s quality of life by educating or entertaining them. Understanding the demographics, interests, and needs of your audience will help you figure out which followers you’re most likely to attract. Your audience and what they want may also change over time. To keep attracting followers, you need flexibility and responsiveness. Flexibility doesn’t mean changing your style and opinions with every stray remark. It involves making adjustments based on feedback and an analysis of your growth as a streamer. Responsiveness includes listening to your followers’ questions and comments and paying attention to the topics, ideas, and concerns people discuss on online forums and social media platforms. You’re a highly skilled player offering invaluable tips and demonstrating technique. Your approach to a game or the way you film yourself playing it is creative and unique. You show a sense of humor, sharp wit, sincere enthusiasm, unpretentious friendliness, or other personality traits that attract viewers. While working your way through a new game, you share the learning process, solicit feedback, and show what it takes to achieve mastery. 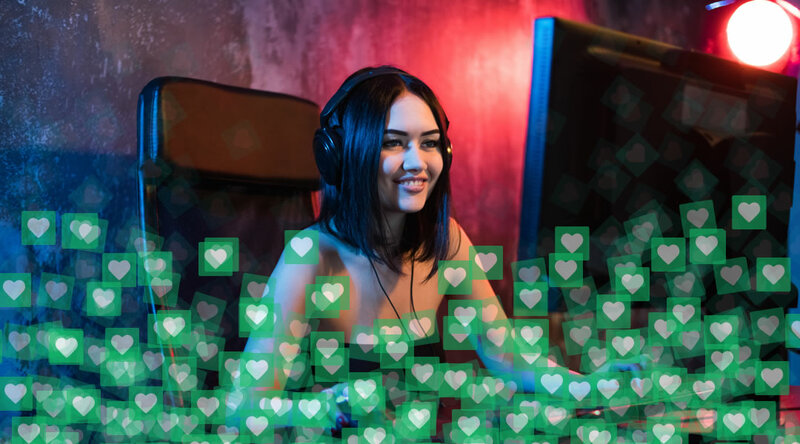 Understanding the kind of streamer you are will give you more stability and coherence, helping you apply focused strategies for growing your following. How can you stand out and gain more followers? It’s easy to feel overwhelmed when confronted with the large number of streamers on popular platforms. Fortunately, there are reliable ways to attract people to your channel. Let’s say you’re focusing on gaming. You want to choose games that you’ll genuinely enjoy, but you also need to consider their popularity. Because some games are already the subject of so many channels, you’ll have a harder time standing out if you devote yourself exclusively to them. Sites like TwitchMetrics and TwitchTracker can help you determine the most popular games currently being played. While devoting all of your videos to the most saturated games isn’t a good plan for standing out, it also isn’t wise to focus on games that attract little interest and have lifeless communities. Signs of lifelessness include dead forums, a negligible amount of social media chatter, and scant coverage in gaming publications. Keep a close eye on new releases and games that seem to be growing in popularity. Pay attention to articles on trends and predictions about what will likely be popular in the near future. You can even reach out to the game developers you respect and offer to test their work. You may be able to establish yourself as an authority in a specific game or type of gaming experience that will soon take off. 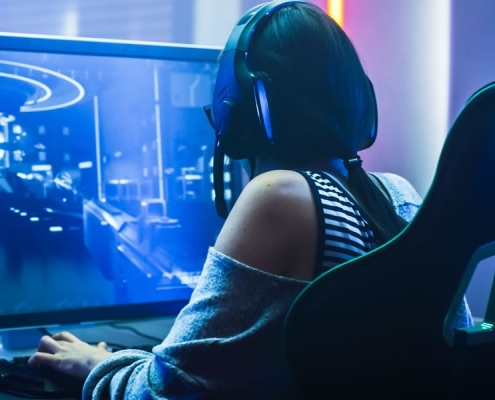 What if you’re determined to focus on popular games like League of Legends, Fortnite, or World of Warcraft? Think about whether you can contribute meaningfully to the community. Review some of the widely followed channels, and ask yourself if there’s something lacking, such as a neglected character, an issue that’s poorly addressed, or a game strategy that few people are trying. You can also attempt to stand out through humor or witty commentary. Just make sure you sound natural and not like you’re forcing laughs. 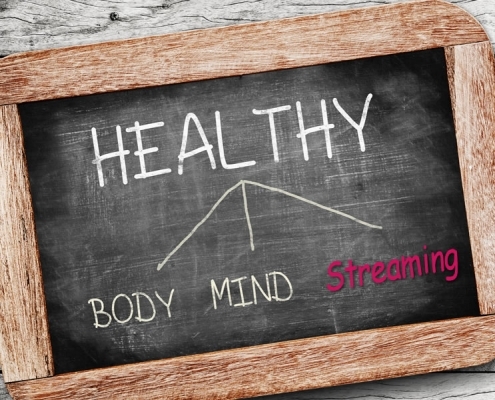 It’s possible to stream a variety of content without appearing unfocused or incoherent. When it comes to gaming, you can offer streaming for a handful of games. Maybe they’re all related to each other. For example, they’re all role-playing or sports-themed games. You can mix established, popular games with some newer and promising ones. Maybe play one game as an expert and another as a novice. You can host a Throwback Thursday streaming event. Play a classic game on an older system. There are people who love rediscovering old games. Numerous possibilities exist for other kinds of streamers as well. For example, an artist can portray the same subject using different kinds of media. They can devote some videos to evaluating and commenting on art. Even switching from outdoor to indoor settings will add more variety to your streaming. Followers can accept changes in content if you let them know what you’re doing. Post a streaming schedule on a Twitch panel and other locations, including your social media accounts. To gain followers for your streaming platform, you need to establish a strong online presence. Through social media, you can meet potential followers and spread the word about your live videos. Reddit, for example, hosts a wide variety of gaming groups. Facebook, Tumblr, and Pinterest have their own communities for a range of interests. On Twitter and Instagram, you can find like-minded people sharing hashtags about your streaming topic. If your streaming is part of your professional work, you can use LinkedIn to connect with prospective viewers. Once you commit to a site, post to it regularly. These tools help you schedule posts and measure engagement with your content, including likes and shares. You can also use them to keep track of search phrases and hashtags relevant to your streaming interests. The cheapest options include Tweetdeck and the free plans for Buffer and Hootsuite. You can export videos to YouTube. Vimeo is another excellent platform opening up new tools for streamers. You should also create clips and highlights of your live broadcasts to share on your social media accounts. Display links to your social media accounts on your streaming channel, and link to your channel from your social media profiles. You can also display your streaming schedule as a permanent post on social media. Don’t constantly push people to check out your videos or act entitled to their attention. You’re interacting with real people in a conversation. Express an interest in what they’re doing, share useful information, respond to comments and questions, and point to your own work when appropriate. If you spend a lot of time complaining or acting with aggression, malice, or dishonesty, you’ll lose followers. Share content from anyone you genuinely support or any business you sincerely endorse. Be generous and honest with your praise. To find additional interesting content, use Google Alerts for updates relevant to your streaming, such as game reviews. Feedly and other popular feed readers can help you keep track of important topics and trends. If you stay informed and connected, you’ll be in a better position to share excellent content on social media and hold richer discussions while streaming. When you work with other streamers, you gain exposure, and their followers may also become yours. Host someone on your stream, join them on theirs, or set up a dual stream. Viewers can simultaneously watch you and other streamers using sites like MultiTwitch, Multistream.me, and TwitchTheater. Set up competitions with other streamers, or work as a team on a challenging game or project. Invite streamers for interviews or panel discussions on topics that people in your community find deeply interesting. Stream teams are another possibility. You can create one for yourself with some friends or join an existing team. Just keep in mind that joining teams indiscriminately may leave you with an impersonal and unrewarding experience. Collaborate with people who have a good reputation, and ask yourself if you can respect them as friends or colleagues. If two people are associating only out of a mutual craving for exposure, their interactions will be unfulfilling for themselves and their followers. Talk to your viewers, and respond to their comments. Field questions from chats and from social media posts. Make sure you aren’t giving a disproportionate amount of attention to one viewer or follower and ignoring others. Connect with people by joining or creating your own Twitch community. Include interactive features in your stream. Some games allow viewers to play against you. You can display questions and thought-provoking observations, trivia challenges, and polls. For attractive overlays, Twitch panels, and YouTube templates, one excellent resource is WD Flat. As your following increases, start offering giveaways and contests with prizes. If you lack adequate lighting and clear audio, viewers won’t stick around to become followers. BoxCast and Popular Science have offered some recommendations for streaming equipment, and PC Gamer has suggested certain microphones. Whether or not you buy any of these specific products, listen to feedback from family, friends, and viewers about the quality of your stream. You should evaluate your videos for disruptive personal habits, including a tendency to swallow words, whisper, or fall into a monotone. Also, check that you look clean and combed. While it’s important to pay attention to follower count and viewership, keep in mind that raw numbers reflect only a part of your success. Some streaming topics don’t lend themselves to huge follower counts. Success comes from developing a loyal following and a strong reputation in your community. Follower engagement is critical. Your followers will ideally be viewing your stream, chatting with you, and sharing your work. Some of them will become subscribers. You’ll also start attracting attention from sponsors. As more people hear about you, you’ll continue gaining followers. It’s a natural process fed by steady activity. If you regularly provide excellent content, participate in your community across platforms, and engage with people through the topics you love, you’ll attract more followers.